Photography Maxi Poster: If you dream of falling in love in the most romantic city in the world, this poster featuring a loved up couple sharing a kiss on the banks of the Seine is not to be missed. 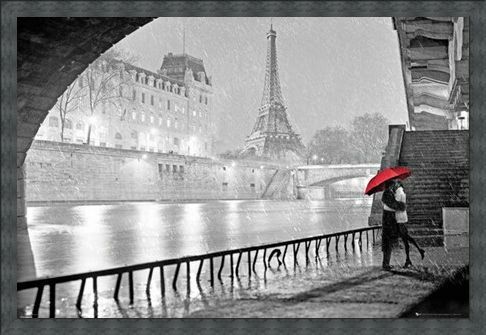 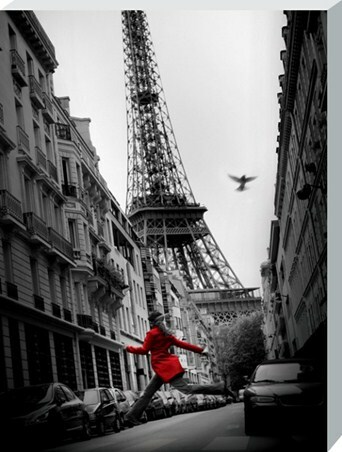 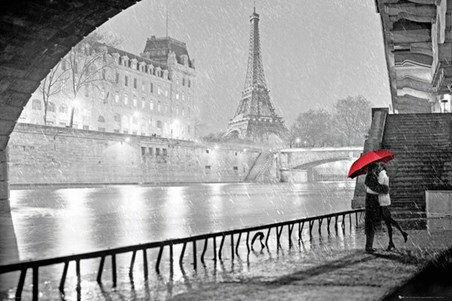 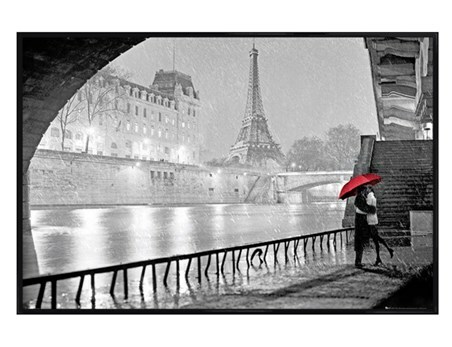 Shot in black and white with just the umbrella shadowing the lovers printed in red, this image beautifully captures the romantic essence of Paris. With the famous Eiffel Tower standing tall in the background, why not add a sensual touch to your home with this stunning poster. High quality, framed Parisian Kiss, Paris poster with a bespoke frame by our custom framing service.